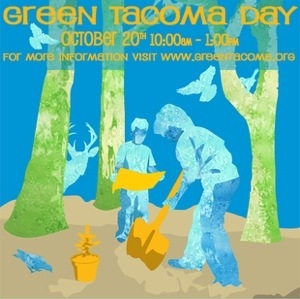 Metro Parks is hosting a Green Tacoma Day on October 20th. This is a city-wide effort to help clean up green spaces, enjoy Arbor Day through awareness and education. 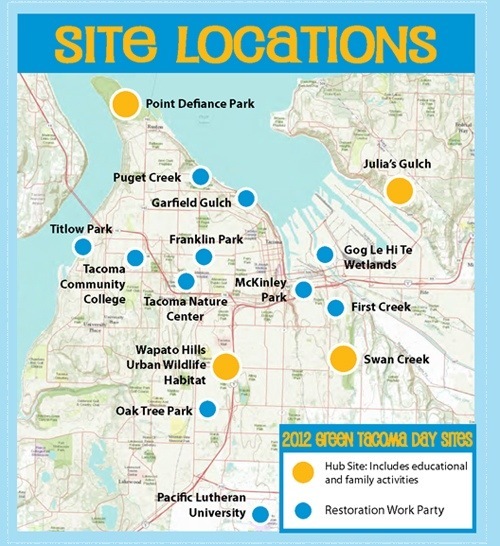 For the first time ever, Green Tacoma Day will wrap Tacoma’s Arbor Day celebration and Metro Parks’ Fall Tree Festival with the celebration of Tacoma’s open and natural green spaces. This year the Tree Festival will be held at Point Defiance in conjunction with Green Tacoma Day! Kids can climb a tree, create leaf art projects, go on a scavenger hunt and participate in other activities. Staff arborists will be on hand to answer tree care questions. That is awesome. Sounds like so much fun! 5K Art Bacon Beach Books Boys Charity Chicken Children Clean Eating Contest Craft Education Event events Family Festival Fitness Fitness Friday Food Free Fun Garden Giving Health Healthy Help Helpful Tip Tuesday Hike Holiday Kid-Friendly Kids Lego Library Love Main Dish Metro Parks Military Momism Moments Momisms Nature NW Trek Outdoor Outdoors Park Pierce County Library Play Raising Boys RAK Random Acts of Kindness Recipe Review running Safety Sale School Seattle Seymour Botanical Conservatory Shopping Storytime Summer Tacoma Tacoma Public Library Thank Goodness its Almost Friday Thanksgiving Things my kids say Tip Tips Tuesday Tip Twins Volunteer Walk Water Whats to eat Wednesday Yum! How much trouble exactly could online dating be?